We have a new special that we are pretty excited about… chawanmushi! If you are unfamiliar with this delicacy, here’s a quick look into this Japanese favorite. Chawanmushi is a traditional Japanese steamed egg custard, which consists of an egg mixture flavored with soy sauce, dashi and mirin. It can be eaten either hot or cool, however we are serving it chilled here in the shop. Your chawanmushi can be served with many ingredients and toppings, some popular items would be shiitake mushrooms, kamaboko, yuri-ne, ginkgo, and boiled shrimp. Hold on, put those chopsticks down! A fun fact about chawanmushi is that it is one of the few Japanese dishes (aside from soup), that can only be eaten only with a spoon. Stop by to try Ejji’s version of chawanmushi, Foie Gras and Spring Onion Chawan Mushi, for yourself! 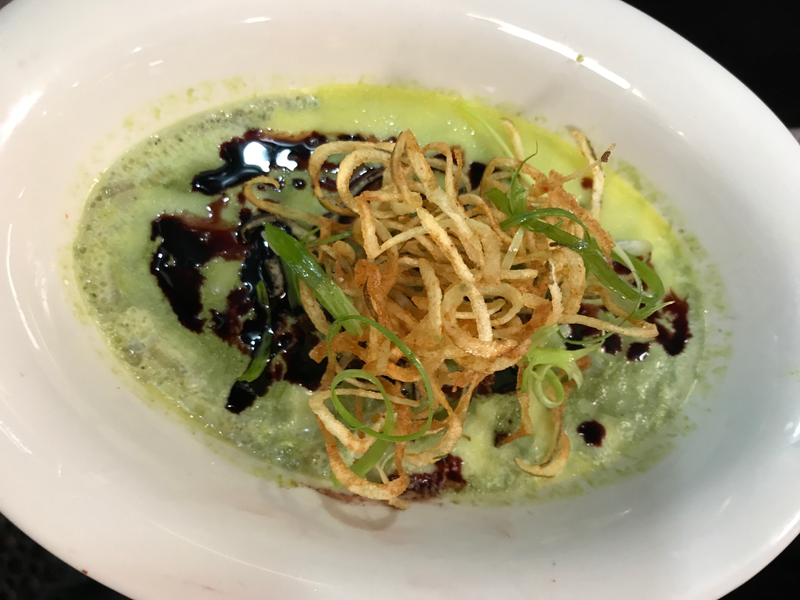 Japanese steam egg custard with crispy shoe string potatoes and red wine reduction (served chilled).